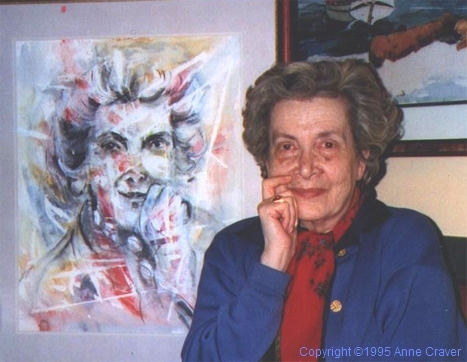 A prominent voice of her generation, a master of poetic images and a tireless writer of prose, Andrée Chedid bridged the two cultures of France and the Middle East for over sixty years. Chedid, who was born in Cairo with ancestral ties to Lebanon and Syria, spent most of her life in France. She began her elementary education in Egypt, completed her secondary education in Paris, and received a degree in journalism from the American University in Cairo in 1942. In 1946, she became a French citizen by choice, and lived in Paris until her death on February 6, 2011 at the age of 90. Chedid, a great contemporary writer of French literature, received numerous awards. A prolific author, Chedid wrote twenty-three volumes of poetry, not counting her illustrated poetry, eighteen novels, more than a hundred short stories, six plays and children's books. As a result, three countries, France, Lebanon and Egypt claim her for their own literary heritage. Chedid always insisted that poetry was her favorite genre to which she returned "as though it were the essential spring."